Nepal, the Himalayan country is situated between India and China. This tiny nation is a cynosure for hosting Mount Everest, the highest peak in the world. The Himalayas covers over 80 percent of the country’s territory, which drives climbers from around the globe for adventurous mountaineering challenges. In fact, Nepal’s flag has two triangles that depict the Himalayan Mountains. Nepal serves as an exotic destination for people to seek spiritual enlightenment, as it was the only Hindu Kingdom of the world until 2006. Hinduism, the oldest religion of the world, devoid of missionary orientation and not having its foundation attributed to any sole source, has also permeated into the political and social life of the people here. Indian influences over Nepal can be ascribed to the Licchavi dynasty that introduced the Hindu traditions and culture here. The dynasty originated in India, used Sanskrit as a court language, and issued Indian-style coins. It maintained close ties to India and also had economic and political relations with Tibet, thus becoming a cultural centre, linking central and southern Asia. The great epics like Ramayana and Mahabharata, as also the sacrosanct scripture, The Gita, tie a common thread between the two nations. The testimony to this is a temple that is situated in the city of Janakpur in the Dhanusa district of Nepal. This is the Janaki temple, which is named after kings of Mithila, called Janaks. One of the Janaks that find mention in the Hindu epics is the father of Sita, wife of Lord Ram. According to Ramayana, this was the birthplace of goddess Sita and also where she was married to Lord Ram. The erstwhile kingdom of Mithila is today half of the state of Bihar, India and adjoining Nepalese Mithila province. The Pashupatinath Temple, a temple dedicated to Lord Shiva, is located on the both the banks of river Bagmati, 5 km northeast of the Kathmandu Valley in the eastern city of Kathmandu, the capital of Nepal. It is considered to be one of the holy places of Hinduism. 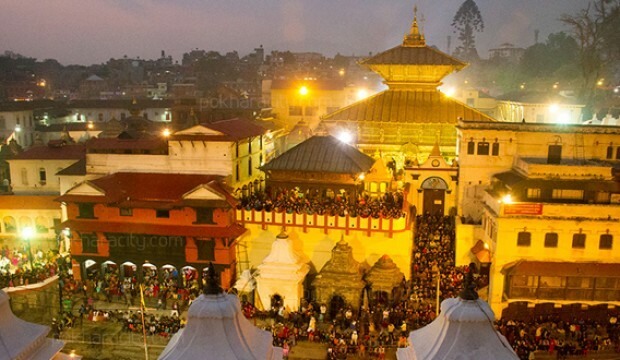 Pashupati, the lord of the beasts, has become increasingly important for the Nepalese who visit the site before a trip or an important mission to receive the blessing of this deity. River Bagmati is considered sacred and Hindus are cremated on the banks of this river, just like it is done on the banks of the Ganges in Varanasi. On September 2015, the Nepalese government formally adopted a new constitution and establishes Nepal as a secular republic. 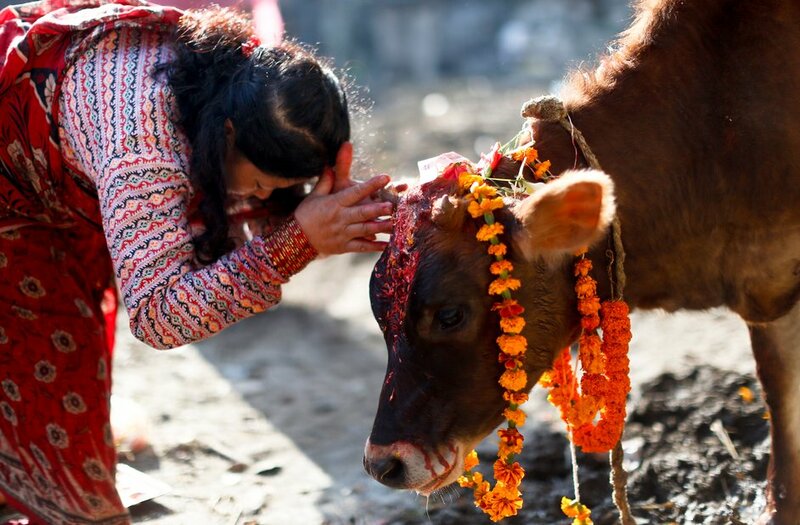 Nepal has about 21 million Hindus, more than 82% of the Nepalese population, for whom the holy cow is interpreted as symbols of motherhood and fruitfulness. The constitution has provided protection to the cow and it has been accorded the status of being the national animal of Nepal. Killing cows, even accidentally is viewed as one of the most extreme transgressions. Hinduism is claimed to be a practice of moral precepts, meditation, yoga, mantras and a philosophy that believes in interweaving of all things in nature. In fact, this nation has become the repository of Hinduism in the world, second only to India.